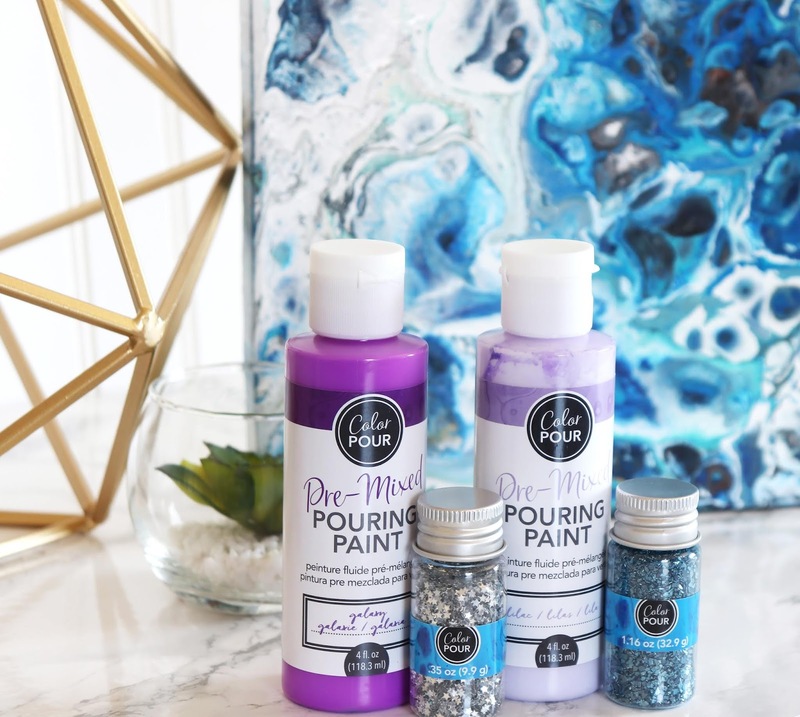 ARTFUL LEIGH: *BRAND NEW American Crafts Color Pour Fluid Painting Kits! 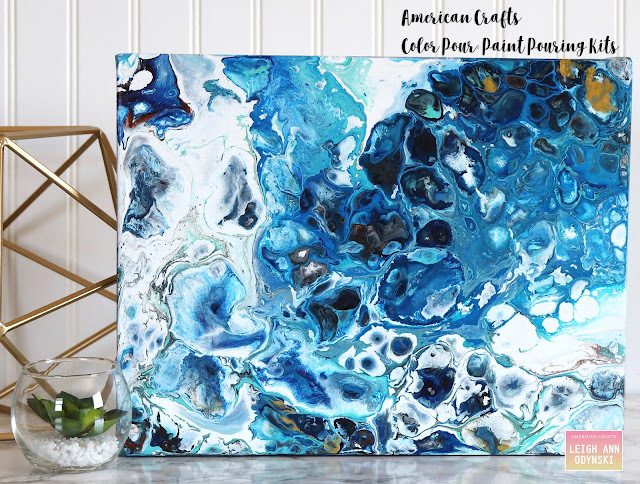 *BRAND NEW American Crafts Color Pour Fluid Painting Kits! I am so excited to share a brand new line of products from American Crafts, available at Joann Stores nationwide!! The American Crafts Color Pour line! American Crafts has made it easy to get great results on your first try! I love the way these two paintings with the same colors turned out completely different! You will get a unique result each time! A close up of the packaging so you know what to look for at your local Joann Store! Available August 6th! This close up view shows you the cell details that can be achieved with the American Crafts Cell Magic product!! 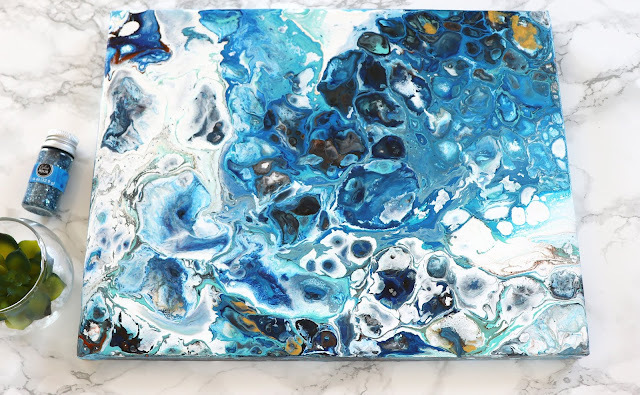 The second painting I created because I had enough paint in my pour cups to do the whole thing again. 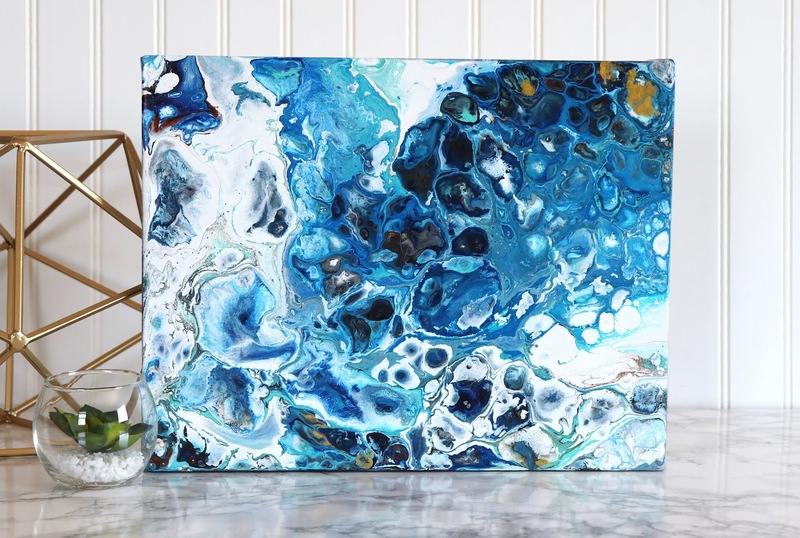 It was easy to make a second painting while my supplies and plastic drop cloth were out and in place. Notice how the colors are different in this painting, even though the same exact paints were used! 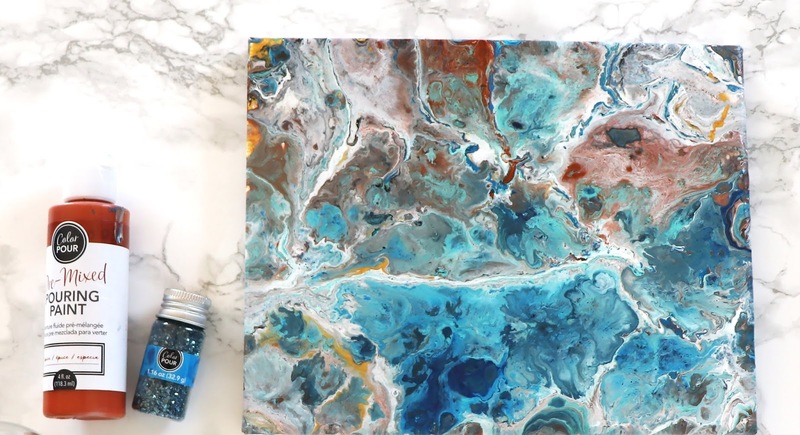 Here is a process video to show exactly how the paint was mixed in the pour cups and flipped onto the canvas. I hope you get to try your hand at this new and on-trend painting technique! !